Attention Checkers champs! Due to a technical issue with our community servers yesterday, you now have until Thursday, February 7th (midnight, Eastern Standard Time), to complete it! 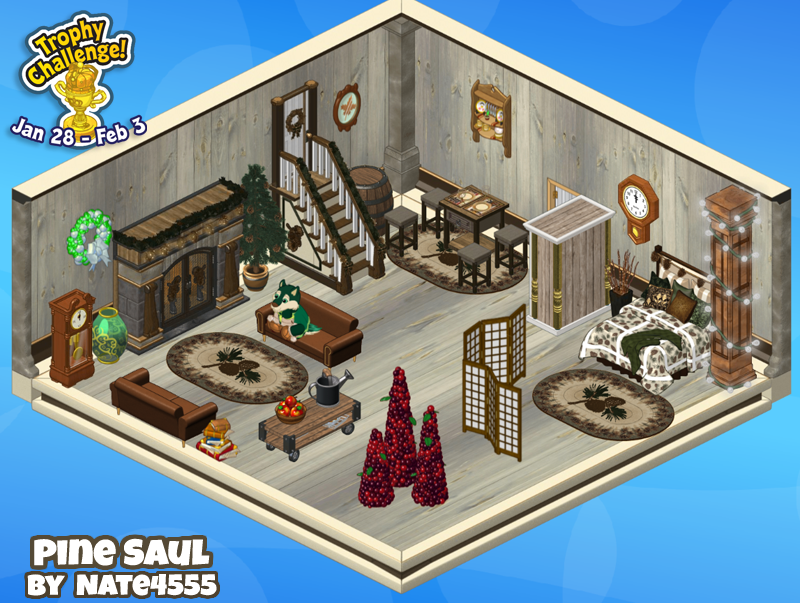 *Please note: the text on the challenge window and icon will still have the original end date of February 3rd. 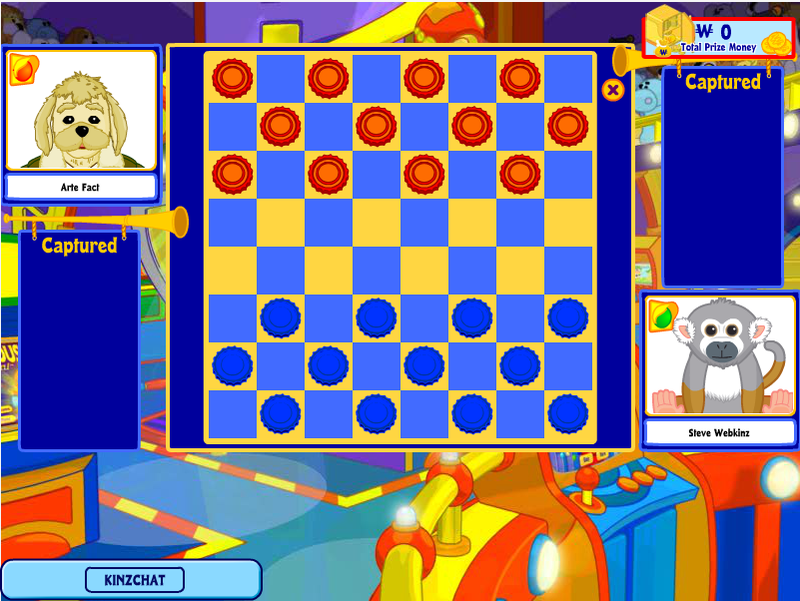 Play Checkers at the Tournament Arena on Webkinz.com and try to clear all of your opponent’s pieces off the board before they do! 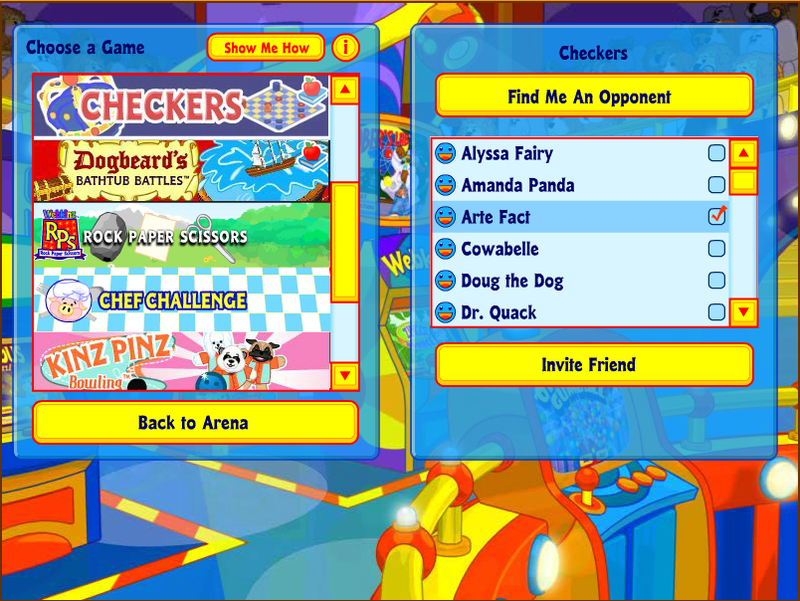 You’ll find Checkers listed under Two-Player Games at the Tournament Arena. Having trouble finding an opponent? Why not challenge a host to a game? 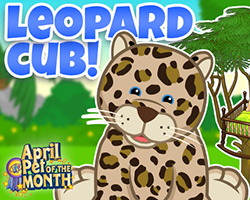 OR, challenge someone on your Friends List! 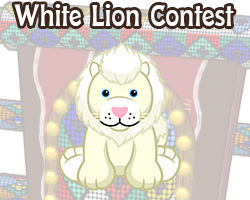 Complete the Challenge by Sunday, February 3rd (midnight, Eastern Standard Time), to win the trophy along with a Crown Me Pedestal! 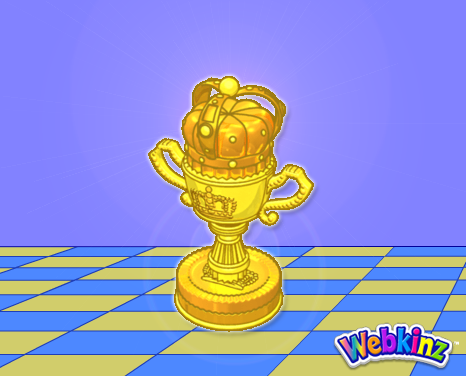 Did YOU manage to win the Checkers Trophy Challenge? Let us know in the comments below! 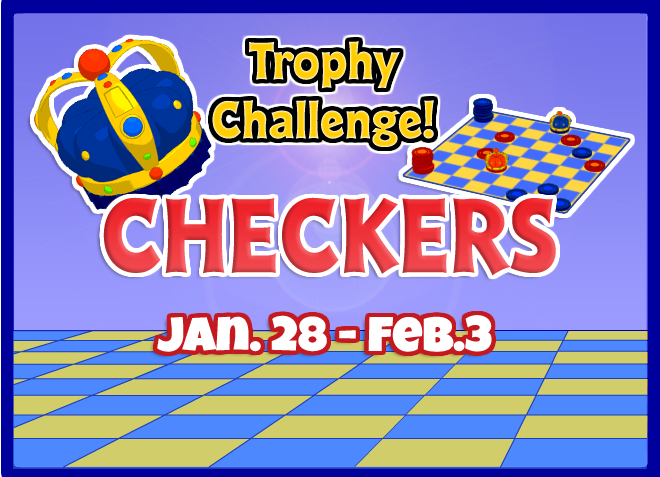 151 Responses to Checkers Trophy Challenge EXTENDED! the checkers game really stinks. It can & does go on for hours. It should time out when a player can’t possibly win. 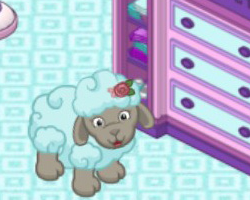 When you play against a webkinz friend you’re playing against a machine. I can have 6 pieces left & they only have one. BUT they can keep moving back & forth between 2 unending spaces. BORING!! 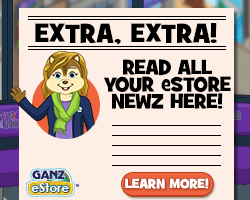 End this. 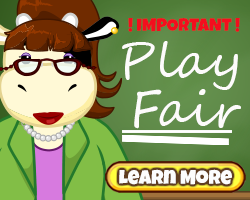 It’s not FUN!!! What has happened to Customer Support??? 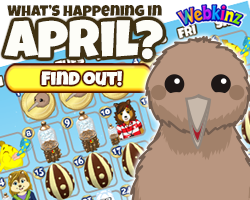 I sent an email to webkinzsupport@ganz.com regarding one of my accounts NOT having the Checkers Trophy Challenge ICON appearing in my room. I sent this Feb. 5th around 6:30 am. I was disappointed that I was not able to complete the Checkers Trophy Challenge on some of my accounts due to the issues with the community server. I was very pleased to hear that the Checker Challenge was going to be extended until midnight February 7th. When I logged into my account the early morning of the 5th I was about to start working on the challenge this did not happen as I did not have an ICON appearing in my room. I wanted to get this trophy so bad as it is the nicest trophy I have seen in WW. Therefore I did send an email to Customer Support later that morning to make them aware of the problem with my account. As of today February 7th I still do not have the Checkers Challenge Trophy ICON in my room, or have I received any response from Customer Support. 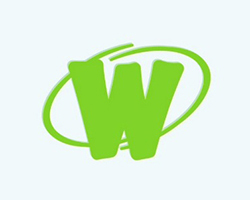 I am disappointed with the service I have received. In approximately 17 hours this challenge will be over, it would be really nice if someone from Customer Support was to contact me. Let me know why the ICON is not appearing in my room. If they can fix the problem give me some time to work on the challenge. Correction 19 hours this challenge will be over. 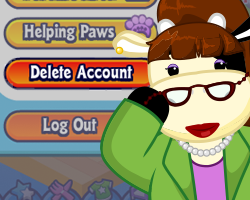 I also went to Customer Support on the main Webkinz page still waiting to receive confirmation and the ticket number. Same I had the same issue all I needed to do is finish the checkers games. i had the same problem. I dont know whats going on with customer support lately.. 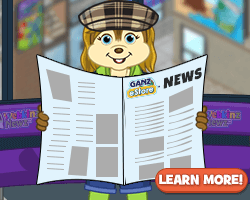 When i try to make a ticket by click customer support on webkinz home page and fill everything out the page just basically goes blank. Ive sent emails to customer support directly through my email hoping to get through and it says it was sent but ive still never heard anything back and its been about 3 weeks now (i had other problems so this goes back a ways) and i just gave up. I cant get through to anyone.